Designed specifically for golfers, the 100% nylon canopy and ergonomic sport-grip handle make for a great accessory to keep you playing even in the wettest conditions. Model: Single Canopy 60" Umbrella. Nail Care&Polish. 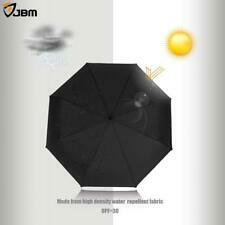 The double canopy add stronger strength to the umbrella, which prolongs its lifespan. Umbrella Cloth Material: 190T Impact Cloth. 1 x Umbrella. The button on the sturdy EVA handle is pressed to open the canopy. Double canopy. Rest assured that you are getting the real deal. 68” Double Canopy. They must be unused and still in original plastic. Ergonomic, Non-slip Molded Handle. Ventilation Holes for Wind Pass-through. Sun Tek 68" UV Protection Wind Vented Canopy Umbrella SunTek - 4 Colors Avail. 5 out of 5 stars - Sun Tek 68" UV Protection Wind Vented Canopy Umbrella SunTek - 4 Colors Avail. 7 product ratings7 product ratings - Sun Tek 68" UV Protection Wind Vented Canopy Umbrella SunTek - 4 Colors Avail. 68" Arc Double Canopy. They must be unused and still in original plastic. 1310 W Washington St. Warranties are only valid in the US. Tharmal Plastic Handle. Fiberglass shaft and rib construction for increased durability. Protection 190T pongee fabric will ensure that you remain unaffected by nature. Windproof The double-canopy design creates a vent during where wind can pass through, making the umbrella much easier to handle in harsh conditions. 62' Umbrella. They must be unused and still in original plastic. West Chicago, IL 60185. 1310 W Washington St. Warranties are only valid in the US. Patended wind-panel design that handles winds up to 60mph. Woodworm logo printed on each umbrella. Double canopy design to prevent inverting in high winds. Golf Outlets USA. 5 out of 5 stars - The Drizzlestik Flex Golf Bag Umbrella New - Choose Color! 2 product ratings2 product ratings - The Drizzlestik Flex Golf Bag Umbrella New - Choose Color! This is a brand new Derby golf umbrella made for Warsteiner beer. Condition is New. Measurements from one end to another is 54 inches. Color is black. If you have any questions please send me a message and thank you for looking. Shipped with USPS Priority Mail. This Chicago Cubs Umbrella is a 62″ umbrella and includes the following double canopy design, 4 location logo and printed sheath. Includes Nike swoosh sleeve, with Velcro closure, the first couple stiches are loose but it fits snug on umbrella. Nike Golf Umbrella. Single Canopy. They must be unused and still in original plastic. Warranties are only valid in the US. Non-Slip Molded Handle. Fiberglass Handle and an Ergonomic. This manual golf size umbrella has a painted steel shaft and protects you with an extra large canopy to keep you dry. Stylish Blue and white alternating color canopy. Manual open and close golf umbrella. Adjustable length umbrella to protect your clubs with. Provides easy access to clubs while keeping them dry. 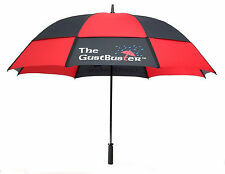 Protects from the rain and does not conduct electricity. Most major providers will have simple instructions within their help queues if you happen to need more info in regards to safe lists. Non-slip ergonomic cushion grip. TaylorMade Tour 60" Golf Umbrella 2017 features TaylorMade logoing. 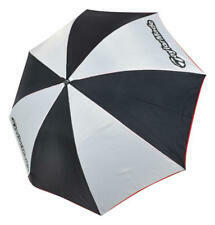 Buy TaylorMade Golf Umbrellas. Authorized TaylorMade dealer. Warranty Information: Your club(s) may qualify for a full manufacturer's warranty! CALLAWAY GOLF UMBRELLA 60" SINGLE CANOPY - BLACK . Condition is New. Shipped with USPS Priority Mail. Gorgeous Blue and White Mizuno Double Canopy Umbrella Staff. Condition is New. Ships with USPS Priority Mail. This model has a flexible spring just under the canopy which permits the canopy to be moved in any direction to remove a club. There is no need to remove the umbrella to obtain a club. MATERIAL : water-resistant 210T pongee micro-weave fabric (Pongee is a kind of polyester fabric, so it's unfair that a review said it was a lie), extremly lightweight, mold-resistant and quick drying with SPF 50 protection; construction: 8 resin, reinforced fiberglass ribs made of hardened stainless steel coated in a high-grade black resin, strong enough to against strong wind or heavy downpour. Nike Golf Umbrella Black 48" Diameter Double Canopy Collapsible. 39" in length. Good condition. Shows some minor wear. Small ¼" hole near the top. See photos for details and message me with any questions. 58” of coverage. UV Protection. They must be unused and still in original plastic. Dual action opening. Textured rubber handle provides a comfortable grip. Size: 62". Textured rubber handle provides a comfortable grip. Lightweight twin canopy construction. Durable and patented wind panel design to withstand winds up to 60 MPH. We're happy to help. New Arrivals. We do not accept P.O. Boxes. Golf Umbrella. British Flag Patter, used once as decor. New condition.